HireWriters.com Review: Is Writing for HireWriters.com Legit or Scam? HireWriters.com is an online platform for finding writing gigs. If English is your first language, you can join HireWriters.com for free and have access to hundreds of paid writing jobs. You can make up to $20 per article! If you’re interested in freelance writing, make sure to check out 30 Days Or Less To Freelance Writing Success. It’s an awesome course to learn how to start/grow a freelance writing business. For a limited time, get a copy of their free ebook: 200 Freelance Writing Niche Ideas! There doesn’t seem to be any requirements. You’ll obviously need a computer and internet access. You’ll also need a PayPal account to get paid. A little writing skills will also help! The application process is quick and easy… as soon as you fill out the form, it drops you into a test! You only have 5 minutes to take the test, so make sure you’re ready! It’s actually pretty simple, but when you know your time is limited, it can be nerve-wracking, so make sure you’re ready when you fill out the form! After the 25 question test, they ask you to write a quick 150-word essay. My topic was to describe my favorite food and why. This wasn’t timed; it took me about 8-9 minutes. After submitting the essay, a notification popped up saying that I would be notified within 24 hours if I am accepted. Here it is… If you want to apply for a free account with HireWriters.com, click here. Remember, 5-minute test starts as soon as you click the “Sign Up Now” button. After you sign up, if you pass the test and your short essay is approved, you’ll receive an email with an activation link. You’ll want to log in and edit your information to include a sample of your writing. Clients will be able to see this when they are searching for writers. You can also select keywords that will help match you with clients. 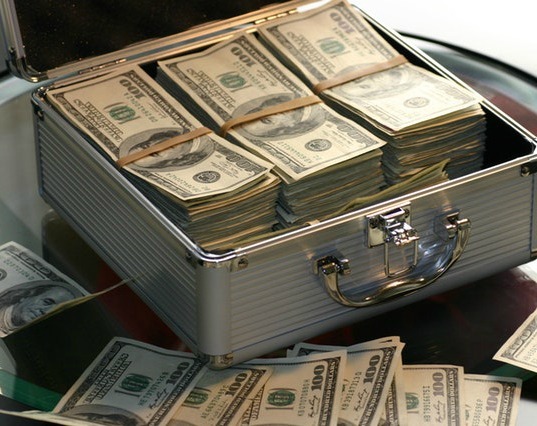 How Much Does HireWriters.com Pay? 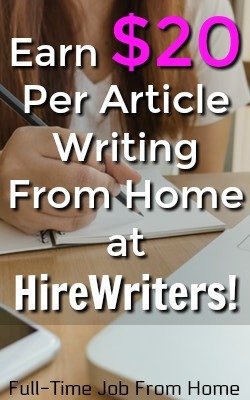 Established HireWriters.com writers get paid up to $20 per article. There are 4 skill levels, which are clearly defined. Even better, the way you promote to the next skill level is also defined. Average: you have at least 3 completed writing jobs, with an average rating of 4 stars and at least on time 70% of the time. Skilled: you have at least 7 completed jobs, and an average rating of 4.1 stars and at least on time 77% of the time. Expert: you’ll be paid at the expert level once you have at least 14 completed jobs, with an average rating of 4.6 stars, and on time at least 88% of the time. They have six different article length categories: 150-300 words, up to 2000 plus. You get paid based on the length and your skill level. If you are a beginner and you write an article with 300-500 words, you would earn $2.25. For the same article as an expert writer, you could earn $10.66. You can do as many of these articles in a day that you want and are hired to do. At HireWriters.com, you’ll be paid every Friday. As long as you have $10 in your account, you will receive a payment. All payments are through PayPal, so you’ll need to have a valid PayPal account. You can write as much or as little as you want with HireWriters.com. The beauty of writing is that you can do it any time of day or night. I had a hard time finding reviews for HireWriters.com. There’s nothing on Glassdoor or Indeed. Some said that the account freezing and payment withholding happened because of giving their personal email to a client, and another for submitting beyond a deadline. Unfortunately, these issues are probably part of the terms of service, so it’s likely within HireWriters.com’s rights to take these actions. I read only 1 review that was positive. There’s no way to contact HireWriters.com. Questions are submitted via a messaging system. HireWriters.com will own your written work, until you are paid for a job, at which time they will transfer ownership of your written work to the client. The Terms of Service state that if you sign up as a writer, you automatically agree to their terms. HireWriters.com might actually be a scam. I applied myself, and 96 hours later, I still have not heard if I have been accepted. I will certainly update this post if anything changes, but as of right now, I can’t say it looks good. And even if I do get accepted, it sounds like payment is questionable. I’m disappointed; it sounded interesting and easy! Here’s that link again if you want to check it out for yourself. Remember, the 5-minute test starts as soon as you click the “Sign Up Now” button! If you do sign up and get accepted, let me know. Maybe it’s just me!